Kelty Reva 45 pack for women is a part of a new series launched in 2017. The pack comes with a couple of unique features which you will not find in any other pack currently on the market. It offers an adjustable torso length through Kelty’s PerfectFIT system, and a new Kinesis hip belt concept. Unique Kinesis hip belt system. Very nice and comfortable suspension system. I wish to start with the unique features first. In this series, Kelty has introduced a very special pivoting system in the construction of its hip belt. It is different from the existing pivoting hip belt systems available in some advanced packs in the sense that you have a sort of an anti-parallel movement. The meaning of this is that the two sides of the hip belt operate individually but in concert with each other. More precisely, when one side goes up, the other side goes down. This is supposed to adjust the belt to your body movement. I do not remember seeing anything similar in other packs currently available on the market. Kelty does not stop surprising us with innovations and unique features in their packs. The pack also offers lumbar adjustment. There are two pull loops (visible in the pictures) on the back to find the best position for your body shape. You simply move the padding up or down. This can be done with the pack on your back. The harness and back with a nice padding. The is a classic style, top-loading type pack and this is the only entrance to the main compartment. So this is different from other mid-size Kelty’s packs like Redwing 50, Redwing 44, and Redwing 40 which are all panel-loading type packs. The Reva 45 is with a rather streamlined profile, no many details on it, and without zippered pockets on the sides. 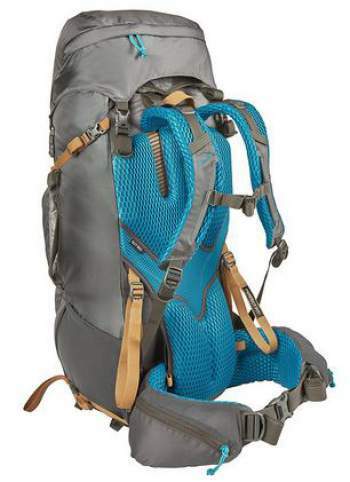 With 2745 cubic inches of the volume and 4 lb (1.81 kg) of weight, it is a well-balanced pack. The suspension system is supported by a lightweight aluminum peripheral frame and an HDPE frame sheet. 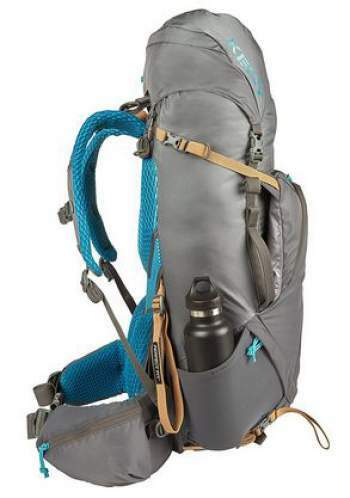 It comes with Kelty’s PerfectFIT suspension system. This is again something unique for Kelty, but it is used in several other packs of this brand. 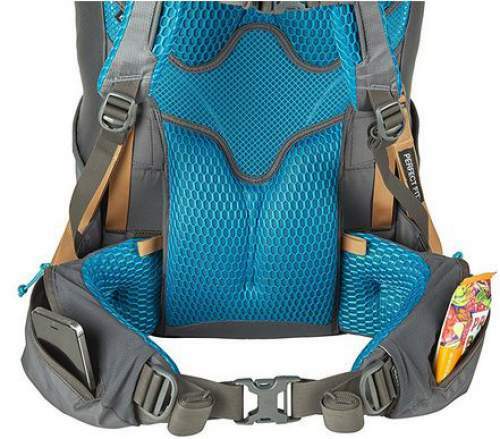 It allows for an accurate on-body torso adjustment, so no need for taking the pack off. The yellow straps shown in the picture above are a part of this system; all you need to do is to pull when the pack is on your back. As you realize from the pictures, the back and waist belt are nicely padded and covered with a breathable and pleasant mesh, and the lumbar padding is really massive. In my view, this is one of the best features of this pack. Hip belt with Kinesis pivoting system, and harness with PerfectFit. The short pull loops on the back are for lumbar adjustment. Pockets: One zippered pocket is on the lid, and on the front, you have a larger zippered pocket with organization. Behind this front pocket, there is a big shove-it storage area secured with two compression straps that run diagonally up to the sides of the pack, see the pictures. Dual zippered pockets are on the hip belt, and dual stretch pockets are on the sides of the pack. There are two grab handles, one on each side of the pack, visible in the pictures above. You also have dual trekking pole loops on the bottom of the pack. In addition, 4 webbing attachment loops are on the bottom. Yet another nice feature in this pack is an external department for a water bladder. There are dual upper compression straps (one on each side), and dual straps on the bottom. Not best design in compression straps. I find the upper straps too high above the side stretch pocket. Only very elongated objects stored in the side pockets can be fixed with these straps. The side pockets are without the usual lower straps. The bottom straps appear to be too far from each other, I am not impressed with this design. Women-specific shoulder straps and hip belt. Carry weight: 50 lb (23 kg). Volume: 2745 cub in (45 L). Dimensions (L x W x D): 26 x 12 x 9 in (71 x 30 x 23 cm). Adjustable torso fit: 14.5 – 18.5 in (37 – 47 cm). PerfectFIT suspension and Kinesis hip belt. – Robic Nylon 210D Dobby Ripstop. – Poly 420D Small Back Stafford. Hydration compatible – external hydration sleeve. Side stretch mesh water bottle pockets. Front shove-it pouch with a zippered pocket. 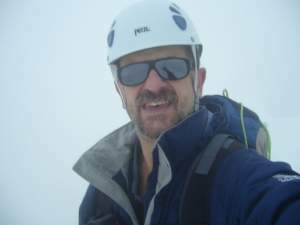 Dual ice axe and trekking poles loops. Kelty Reva 45 lacks size zippered pockets and a rain cover, hence my rating. Note that the other two packs in the table are the top tools, therefore the Reva’s rating is not bad at all. To conclude this preliminary review of the Kelty Reva 45 pack for women, this is a reliable tool with a minimalist design, but it comes with some unique features. The Kinesis hip belt system used here you will not find in any other series on the market, and the same is with the bottom compartment design. Note that there exists a larger version, Reva 60 with the same features. This series includes parallel versions for men, Kelty Revol 50 and Revol 65. 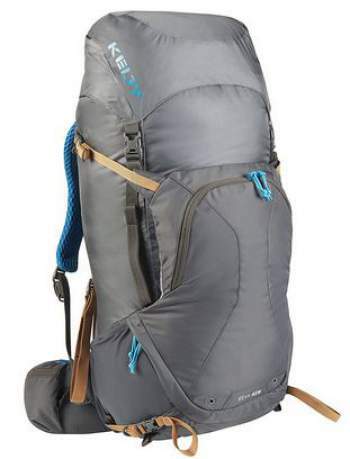 If you feel this Reva 45 pack is not the best choice for you, please see this Kelty Sira 45, the same brand and the same size, with a totally unique design. If you need something ultra lightweight, check this Mountainsmith Scream 50 Backpack for women which has a roll-top entrance. Thank you for reading. So, what do you think about this new Kelty’s series? I love to hear from you, so please use the comment box below. Have a nice day.